JUST SOLD!!! 9/13/2013 in College Greens, Sacramento Ca. This is a wonderful townhouse right next to the American River, the bike trail and close to Sacramento State, shopping, dining. Beautifully remodeled 3 bedroom, 1.5 bath, 1326 square feet. Open and Bright floorplan, tons of storage, covered parking spot, personal patio/backyard area, indoor laundry, and large bedrooms. 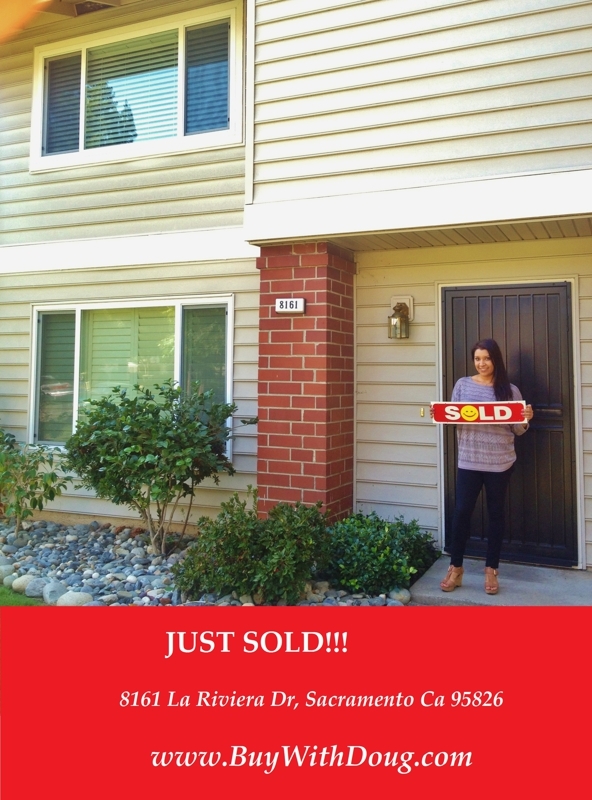 Congrats to my client on purchasing her first home!! Do you need to appeal your 2013 Sacramento Property Taxes?